At the office of Dr. John A. Carollo, maintaining optimal oral health is always our top priority – but what if you’re interested in improving the appearance of your smile as well? Our team can give patients the look they’ve been dreaming of with the help of cosmetic dentistry. Whether you’re struggling with dental stains, discoloration, chip, cracks, or gaps, our transformative services can create simply stunning results that completely erase these common, frustrating issues. You deserve to have a smile that you’ll feel proud to show off to the world! Dr. Carollo frequently recommends veneers to patients who are faced with several cosmetic flaws that require treatment; this treatment option can give your smile an entirely new, revitalized look, effectively correcting all issues at once instead of forcing you to undergo several treatments that only fix one problem at a time. Crafted and painstakingly customized from strong, beautiful dental porcelain in order to fit your unique features, veneers are designed to fit right over your existing teeth in a natural and comfortable way. They’re natural-looking, durable, and even more resistant against staining than natural teeth. The days of unsightly, silver fillings are long gone here at the office of Dr. John A. Carollo. 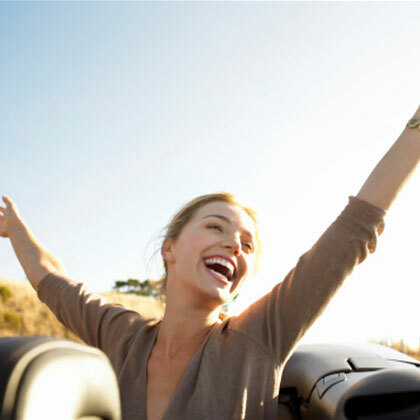 Instead, we treat cavities with tooth-colored, metal-free fillings. Our wide variety of available shades makes it a simple process for us to match your new filling seamlessly to the rest of your smile. Additionally, tooth-colored fillings are less sensitive to hot or cold temperatures and more conservative when it comes to retaining as much original tooth structure as possible. 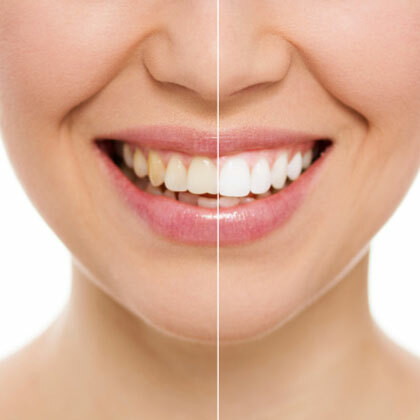 Our Florham Park, NJ practice offers several revitalizing teeth whitening solutions that can fit your unique needs and erase even the most stubborn enamel stains and discoloration. If you have a big event coming up that you’d like to look your very best for, we may recommend our in-office bleaching with Opalescence, which can whiten your smile several shades in just one convenient appointment. On the other hand, many patients prefer our take-home teeth whitening kits with Opalescence Go, which can be used in the comfort of your home on your own schedule. We offer free whitening with your initial exam!